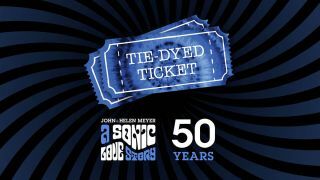 Meyer Sound has launched a special social media contest as part of the continued celebration of the meeting of founders John and Helen Meyer 50 years ago during San Francisco’s famed Summer of Love. The contest categories are Touring (April), Theater (May), Architecture & Design (June), Performing Arts (July), and Cinema (August). * Why would you love to visit the Meyer Sound factory? * Why is Meyer Sound your top choice for… [category]? * How did you discover Meyer Sound?